Can a piece of clothing reflect the human spirit? We think so. Especially when those traits are those of Founder and President Bernhard Brenner. Integrity. High Standards. Curiosity. Commitment. Witty. Nearly 60 years ago, Bernhard Brenner set out to do one simple thing: create the very best garment possible. And over those years he’s cultivated a company and team that embodies those traits in everything they do. Today, the relentless pursuit of that singular goal means that every item that St. Croix sells does reflect the character of our Founder. The spirit of integrity is found in every hand-made step of crafting our clothing. High standards are the norm—from the finest quality materials available to the final 144 point inspection of every garment. Curiosity about our world means that the team never stops searching for inspiration, new technologies, better methods. And they are as committed as ever to making sure that every piece of clothing lucky enough to get the St. Croix label really deserves it. There are no “seconds” here. That leaves us with witty. Can clothing be witty? Color, texture and creative design have been hallmarks of the St. Croix brand since its inception. Clothes aren’t meant to be boring, they’re meant to infuse our lives with richness, color and pattern. With life. With humor. Just like our Founder. While our roots began in Europe with Mr. Brenner, our craftsmanship took root in America. In a small town with hardworking people committed to their craft. 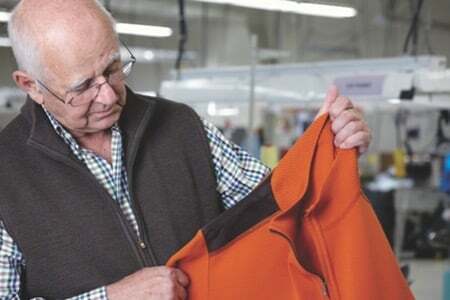 The pride of each craftsperson—some of who have been with the company for over 30 years—shows in every fine detail of our handcrafted garments. Our sweater and knit fabric is created using state-of-the-art knitting machines, but is then turned over to human hands for precise care every step of the way. We cut out every garment by hand. We sew every seam and attach every button by hand. We create our patented looped collars and bands by hand. And every garment is meticulously inspected—how else? By hand. Our highly trained artisans are dedicated to the perfection of every garment. And all of our coordinating garments meet the same exacting standards we’ve set for ourselves. For our fine woven shirts, we’ve cultivated partnerships with the finest Italian fabric manufacturers like Legguno, Canclini, Albini, Monti and Oltolina, and every shirt is handcrafted by our premier Italian tailors. In fact, if we don’t make the garment in our facilities in America, they are made by hand in Italy. We only work with the finest artisans in the world. Our handcrafted luxury men’s sportswear is the finest in the world. Guaranteed. Our sweaters and collections stand the test of time and continue to be desired by the most discriminating clients because of the quality, but also the strength of the design. Whether it’s the perfected classic V-neck Merino Wool sweater that will never go out of style or one of our expressive and exclusive art sweaters—our designers create it all. St. Croix’s designers have lived and worked in the international fashion capitals of the world, including New York, Paris and Milan. Their cultural diversity and artistic expression translate into new and exciting fashions each season. Throughout the year Mr. Brenner and the design team travel to fashion centers across the globe attending shows and personally scouting out new color trends, fabrics and techniques. Each season, the St. Croix design team brings together the latest fashion trend colors and styles to create a coordinated and sophisticated line of men’s luxury sportswear with an American fit and color palette in a contemporary European style. The pursuit of perfection cannot be done alone. It takes a commitment from every person that works to create our luxury goods. Each employee is empowered with the ability to do anything they can to improve the garments they are making, regardless of cost. There are no tolerances. If it isn’t right, it’s done again. Not even 1/32 of an inch is acceptable—every garment must be perfect. With perfection as the standard, many innovations have been developed over the years that contribute to St. Croix’s brand being known world-wide as the finest. Knitwear made at St. Croix features our patented knit-in Collar Stays. The collar never rolls up, never rolls down, even after machine washing. This advancement creates a collar that holds up under a jacket, and always looks perfect. Exclusive Techno-Cotton is the result of a unique knitting technology that combines a moisture wicking microfiber with the world’s finest cotton. The microfiber layer rests against the body where it rapidly wicks moisture from the skin and transfers it to the cotton, allowing it to evaporate. By controlling moisture, Techno-Cotton regulates body temperature for maximum comfort in all climates. This knit technology was developed for comfort, fit and movement, providing stretch with total shape retention. Advanced knitting technologies use an ultra-thin, ultra-fine fiber of the lightest wool to create this natural fiber knitwear. These handcrafted garments stretch to move with you, yet retains its shape for an impeccable look each time you wear it. To create the world’s finest garments, you have to start with the world’s best raw materials. This is non-negotiable, expensive, and the absolute standard. Super Merino Wool, shorn from the Merino sheep of Australia, is a long-staple fiber, resulting in a refined wool that’s spun into a very soft, scratch-free yarn that can be dyed into each season’s richest colors. 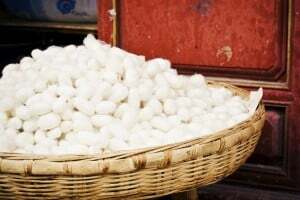 Mozambique silk, the whitest and softest silk in the world, is available in very limited amounts worldwide. We use only this superfine silk to create our natural fiber blended knitwear. Silk lends a beautiful luxurious look with a smooth, soft feel for comfort in any season. 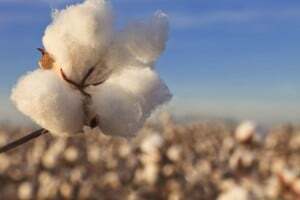 The particular climatic conditions and fertility of the soil along the Nile in the Giza region in Egypt produce the world’s highest-quality cotton, distinguished by its super-white properties and long-staple fibers. The softness of the cotton combined with its whiteness results in yarns that are vibrant and durable for our beautiful high-performance knitwear and jackets. 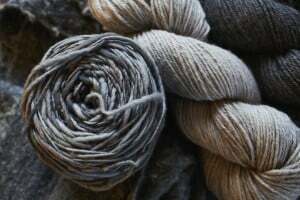 One of the rarest and most-valuable luxury yarn gathered from the undercoat of Cashmere goats in the high-plateau regions of Mongolia. Extremely soft and warm, cashmere lends its loft and insulating characteristics to knit fashions of the highest caliber. We reserve the world’s finest cashmere to handcraft apparel of unmatched distinction. 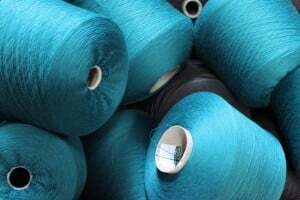 Knitcraft Corporation is committed to manufacturing and selling luxury apparel crafted with a commitment to human rights both in our own operations within the United States and via our global supply chain. Knitcraft agrees to comply with all applicable laws and regulations in the conduct of our business activities. This extends to laws regarding slavery or human trafficking in the countries in which we do business. Knitcraft shall conduct audits as necessary to determine compliance by our supply chain vendors to ensure their business activities, to the extent possible, aligns with Knitcraft’s values in regards to human rights, health and safety, and ethics.